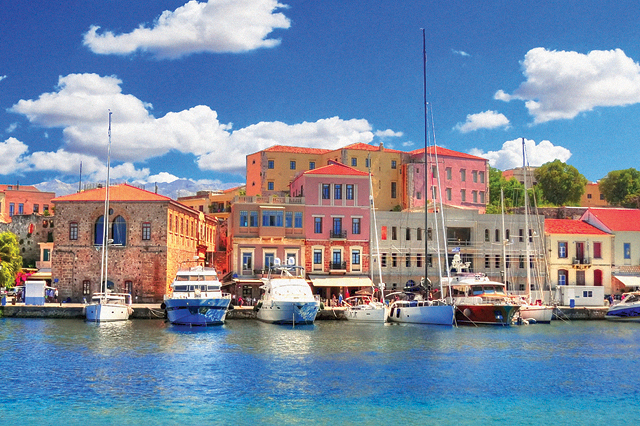 Discover magnificent European destinations Rome, Florence and Venice with a comprehensive Italian tour. Molto bene! 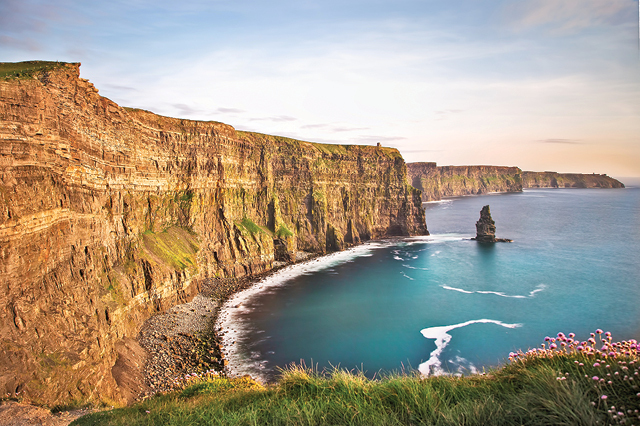 Searching for some choice European destinations for your next international trip? Discover the historic charm and stunning architecture of three of Italy’s most celebrated cities. Visit sprawling Rome, cosmopolitan Florence and romantic Venice. Skip the line with exclusive access to the impressive Vatican and all its countless treasures on a guided tour like this one with AAA Vacations. Visit the museums, the Sistine Chapel and St. Peter’s Basilica. Here is an example of what a AAA Vacations itinerary could look like. Explore the architecture and art of Rome and Florence during hop on/hop off city tours – allowing independent exploration at your own pace. 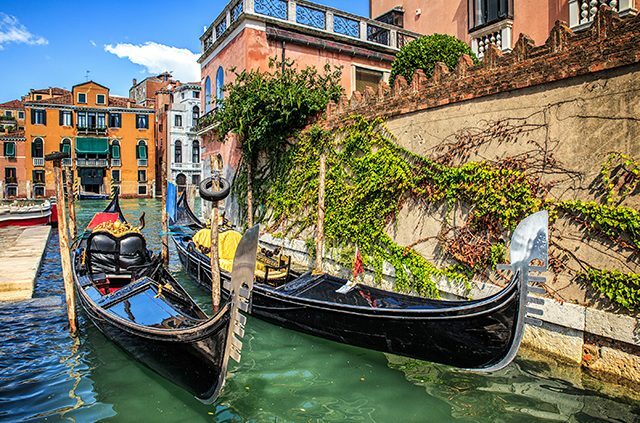 Experience the “dolce vita” or “sweet life,” with this getaway to three amazing Italian cities and do it all with the helping hand of your city ambassadors, who will open the door to every step of your journey. On the first day of your tour of these fantastic European destinations, you’ll be greeted upon arrival in Rome’s Fuimicino Airport by your driver and escorted to your hotel in the heart of Rome. Here you will meet your local city ambassador. Your ambassador’s lived experience will guide you in planning your personalized sightseeing itinerary to make your visit to the “Eternal City” both memorable and exciting. That night, you can enjoy a three-course, authentic Italian dinner at a favorite local restaurant. During your second day in Italy, you will explore the amazing sites of Rome during an open top, hop on/hop off bus. Climb aboard and admire the city’s spectacular attractions including the vast Coliseum and Ancient Forum, the impressive Pantheon, the Trevi Fountain – the largest baroque fountain in the world and the Piazza Navona – the world’s most beautiful square. On day three you will be able to discover the treasures of the Vatican with your exclusive “skip the line” access ticket. Meet an official Vatican representative for a guided tour through the Vatican museums, Sistine Chapel and St. Peter’s Basilica. Stop along the way to admire the world famous art collection featuring the works of Michelangelo. This afternoon is yours to continue your exploration of Rome. Today’s included amenities: hotel breakfast and Vatican “skip the line” access ticket. After breakfast on day four, you will transfer to Rome’s Termini station to depart for Florence on a first class train ticket. Upon arrival you will transfer to Hotel Diplomat in the heart of the city, where you will be greeted by your local city ambassador. After a short introduction to Florence from your city ambassador, the remainder of the day is yours to venture out and experience some of Italy’s best museums, cathedrals and piazzas. The day’s amenities include train station transfers and a first class train ticket. 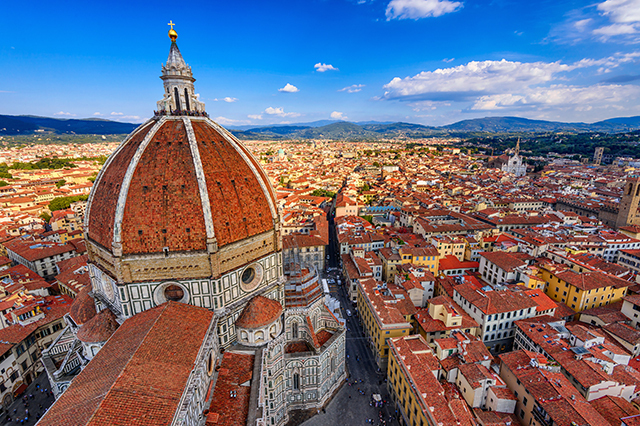 On the fifth day, explore the sites of Florence on an open top hop on/hop off tour. Enjoy commentary from an experienced guide. You may choose to hop off and visit popular sites such as the Duomo, the Piazza della Signora and the church of Santa Maria Novella. You won’t want to miss the Galleria dell’Accademia, home of Michelangelo’s “David,” or the Uffizi Gallery, one of the greatest museums in the world. On day six, you may choose to visit the Tuscan countryside on a tour of Sienna, one of Italy’s prettiest medieval towns. Or you may rather visit San Gimignano and travel to Pisa to see the World Famous Leaning Tower of Pisa. 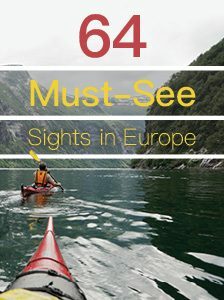 Any one of these European destinations is a fine choice, and a wonderful way to get the most out of your European vacation package. After breakfast on day seven, you will transfer to the S. Maria Novella station and depart for Venice on a first class train ticket. Upon arrival to the “City of Canals” transfer to your hotel where you will meet your city ambassador. After a short introduction to Venice, the remainder of the day is yours. Venice comes alive in the evening with endless activities: there are countless theatre options, fine dining and outdoor concerts, sophisticated bars and the world’s oldest casino. On day eight, a local guide shares the treasures of Venice with you on a walking tour. Uncover the incredible history, culture and architecture that make Venice one of the top 10 romantic destinations in the world. The rest of the day is yours to further explore all that Venice has to offer. Perhaps take a romantic Gondola ride – a one of a kind experience that is certainly not to be missed. Finally, say “farewell” to Italy as you prepare to return home from a fabulous Italian adventure through some amazing European destinations. 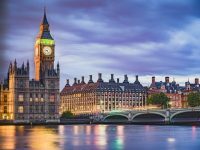 Article tags: AAA, casino, dinner, european destinations, european vacation, fine dining, home, save, tours, travel, trip, vacation, your aaa.